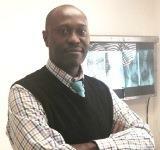 Dr. Moses Ogbemudia provides quality chiropractic care to patients in Capitol Hill, Washington, DC. Whether you're searching for effective pain relief or a way to boost whole body wellness, Moses Chiropractic, PLLC. can help. As a chiropractor in Washington, DC, Dr. Moses Ogbemudia has devoted over 15 years to helping patients who suffer from a wide variety of health problems recover their vitality and reclaim their lives. By increasing his community's awareness of chiropractic and serving more and more people, Dr. Moses enjoys the personal satisfaction of contributing to the creation of a healthier greater Washington, D.C. metropolitan area. Call our office at (202) 546-2000 for an appointment today! Chiropractic is the best natural, proven method of diagnosing and treating auto accident injuries. Suffering from neck pain, low back pain after a car crash? Chiropractic can offer natural, effective relief of whiplash.